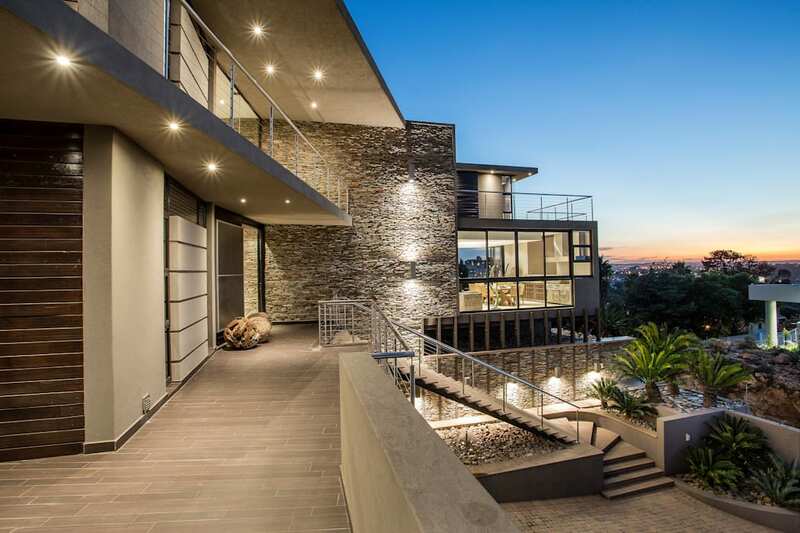 This gorgeous home home is perched on the hill overlooking Johannesburg. This unique site allowed us to design a sculptural element on the landscape. Set high up on a hill, the position allowed the house form to become a sort of rock feature protruding from the landscape. The intricate design takes full advantage of the magnificent views of the site and fully allows the home owners to feel as if there is no boundary between them and the outside.